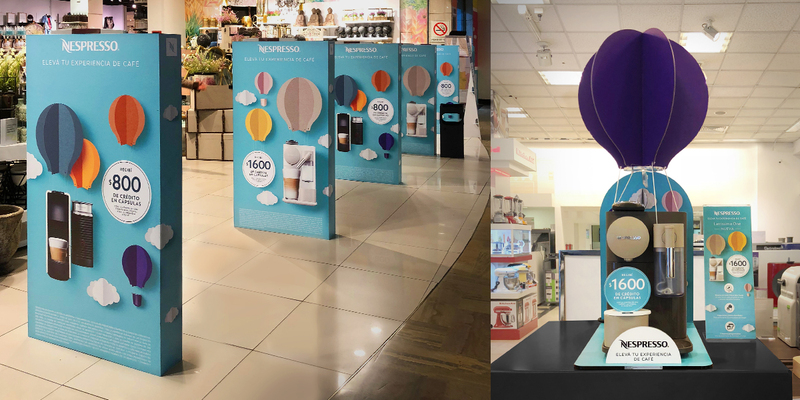 In order to increase the promotion of the brand in department stores and resellers, Nespresso asked BridgerConway to develop its first non-global advertising campaign in the country. 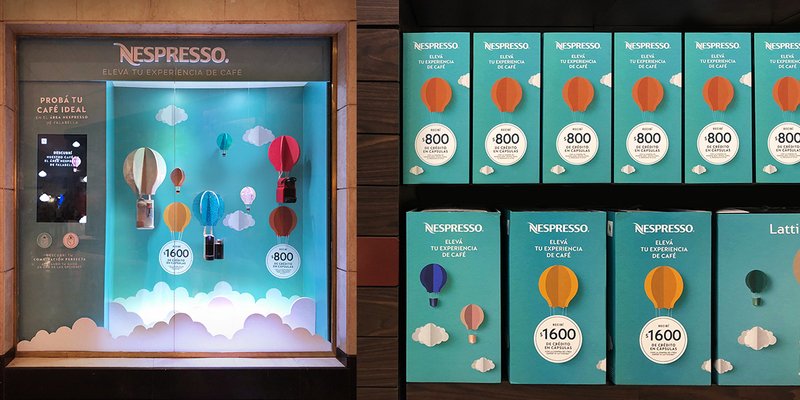 Through the concept “Elevate your coffee experience” a young and colourful campaign was achieved. It reflects the essence of the brand and invites the public to enjoy coffee through playful graphics. A promotion should also be communicated at the time of purchase, which gave away credit in capsules when the machine was purchased. The campaign was executed in its entirety in the sales points with several premium and traditional assets. In addition, the execution was also carried out in social networks and digital media.